Pre Dance 1 (ages 3-4), and Pre Dance 2 (ages 4 1/2- 5): Movement classes that explore rhythm, song, body awareness, locomotor skills, and creative expression. Exercises are geared to the developmental needs of preschoolers, and pre-kindergardeners. Children must be potty-trained, and able to be independent from their parent for the class. Primary Ballet (ages 5-6): A movement class that explores the elements of rhythm, locomotive skills and creative movement. We also introduce the children to the first steps and elementary terminology of ballet, jazz, modern dance, and folk dance. Enjoyment of movement and music is emphasized. Tap/Jazz and Mini Hip Hop Dance Classes (ages 5-6): Beginning steps of tap and jazz/hip hop are introduced and explored using age appropriate movement and music. 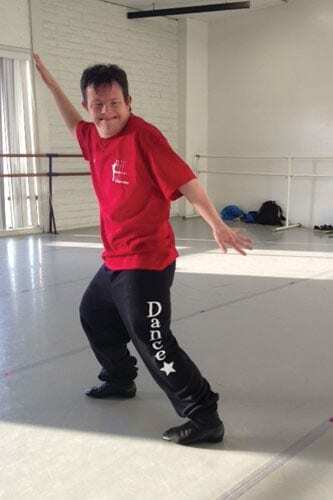 Rising Stars, Special Hip Hop Dance Classes and Special Yoga/Conditioning: Classes geared for students with physical limitations and/or developmental disabilities. Exercises for flexibility, strength, and agility are employed. Artistic expression through dance is emphasized. Both Rising Star and Special Hip Hop dancers have the opportunity to perform for community events. Tuition is based on a sliding scale. Contact the Director for information. 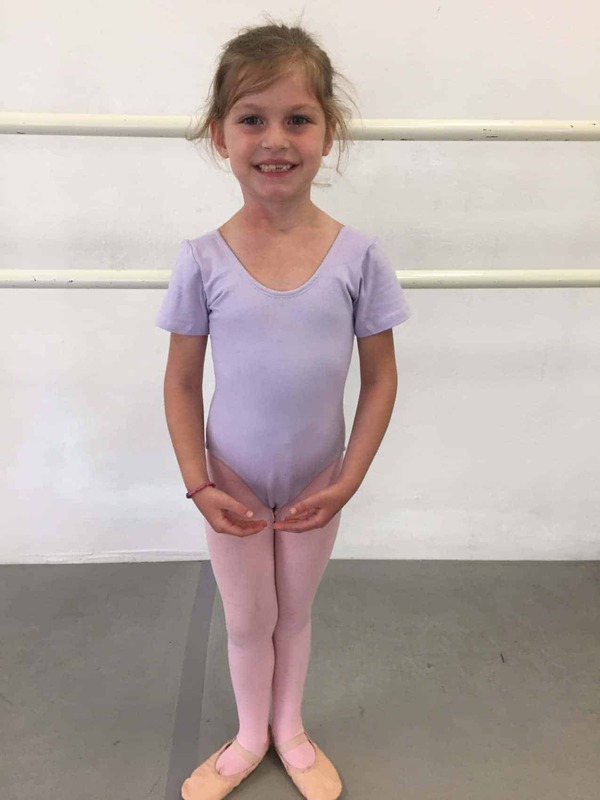 Ballet 1-5 (ages 7-above) and Teen/Adult Ballet: Most children are ready for the exercise at the barre and in the center by age 7 or 8 years. Careful, safe instruction allows the child to progress at his/her own pace to the next level. Correct body alignment and placement, along with understanding of musicality and expressiveness are emphasized. 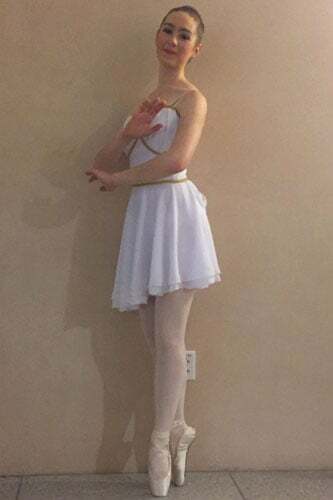 Ballet 2B meets twice per week, Ballet 3 meets 3 times per week, Ballet 4 meets 4 times per week, and Ballet 5 meets 5 times per week. Pointe: Girls in Ballet 3 begin preparation for pointe work by taking the Pre Pointe/Pointe 1 class. Girls in Ballet 4 continue preparation for pointe work, progress to pointe work at the barre, as well as advancement to pointe work in the center and across the floor. Eventually they progress to Ballet 5 and Pointe 2, continuing and improving pointe work in the center and across the floor. Ballet Repertory: This invitational class will learn classical and contemporary ballet variations. We will work towards competing in the Youth America Grand Prix. Teens must be proficient in Pointe work. Yoga: Improves strength and flexibility. Our Yoga classes are not just about the physical movement but also the mental clarity. Barre Fitness: Strengthen and Lengthen! Barre Fitness delivers a fusion of ballet, pilates, yoga, and strength training. Dance Conditioning will incorporate “Progressing Ballet Technique” a method of working with balls and therabands to help students in improving core stability and alignment. Tap 1-4 and Teen/Adult Tap: Tap and rhythms are taught with emphasis on correct technique and individual expression. Choreography and improvisation are both taught, as well as a respect and knowledge of the history of tap and the great tap legends. Jazz 1-5 and Teen/Adult Jazz: Jazz emphasizes balance, flexibility, coordination, strength and creative expression. Turns, leaps, and combinations will be taught. A wide range of contemporary, as well as music from other eras is used. Ballet is a requirement for Jazz 2-5 and Advanced Jazz, and is strongly recommended for Jazz 1 and Beginning Jazz. Hip Hop 1-4 and Teen/Adult Hip Hop Dance Classes: A fast moving street style of dance as seen in music videos. Coordination, rhythm, flexibility and improvisation are taught. Styles vary according to the teacher. Youth Latin Dance and Teen/Adult Latin Dance: A wide variety of Latin dance forms are taught. Partners are not necessary. Belly Dance: Belly dancing involves several types of movement forms: percussive, fluid, shimmies, shivers and vibrations, turns and spins. This class is suitable for teens and adults. Come join the fun! Choreography: Explore time, space, energy and shapes in this class to assist in the creation of the dancer’s own original movement. Suitable for teens who have studied dance for at least three years. Modern Dance: Class emphasizes strength, flexibility, coordination and musicality. There are many styles of modern dance. Our classes emphasize Limon, Graham and Garth Fagan technique. Dancenter has five performing companies based on age and experience. We perform at many community events throughout the bay area. 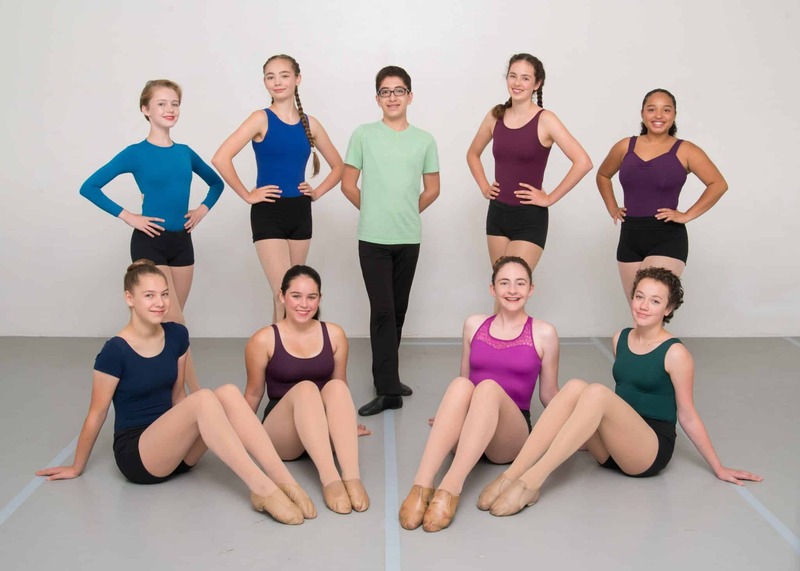 Requirements for Company DC are ballet, modern and jazz classes at the student’s level. DBDC dancers need to be enrolled in Level 4 Hip Hop Dance Classes concurrently. *All placement in classes is subject to teacher/director approval. Our primary concern is the health and happiness of our students. Advancement to the next level of classes is based on many factors including attendance, age, maturity and technical ability. Sometimes it is necessary for a student to study at one level for longer than a year. Placement notices will be sent home at the end of the school year.